Children can intertwine various materials through this outdoor Weaving Panel, such as ribbon, yarn and string. 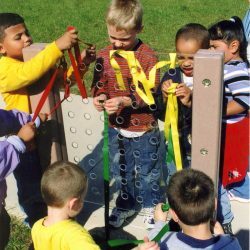 This unique piece of outdoor learning equipment allows children to use their imaginations to create an artistic design with the weaving materials. Using the Weaving Panel demonstrates directional words (in, out, on, off, here and there) as well as spatial relationships with objects (over, under, beside and through). The repetition of weaving helps to develop fine motor skills and effectively meets early childhood learning standards. Children can work independently or they can work cooperatively by passing the material back and forth through the Weaving Panel. 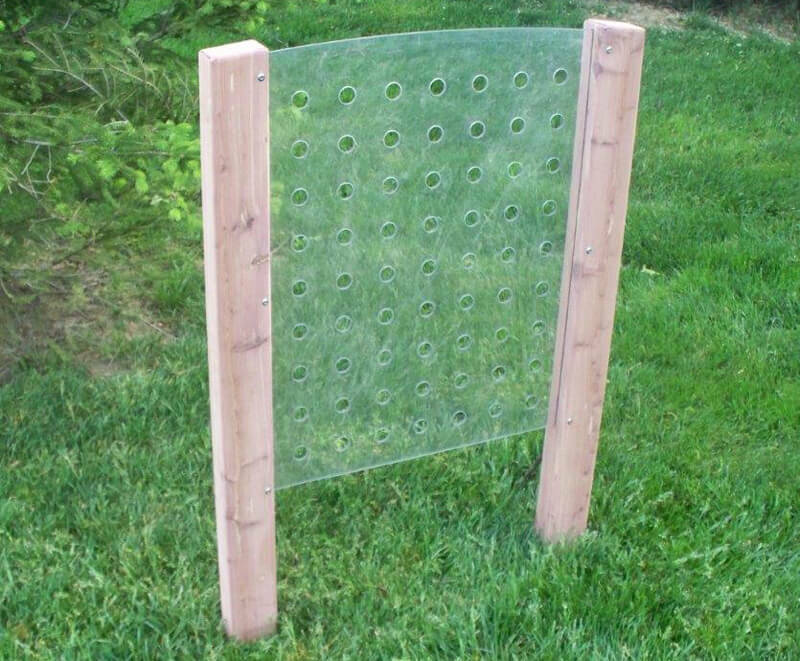 The Weaving Panel is available in maintenance-free plastic or cedar for your natural playground.